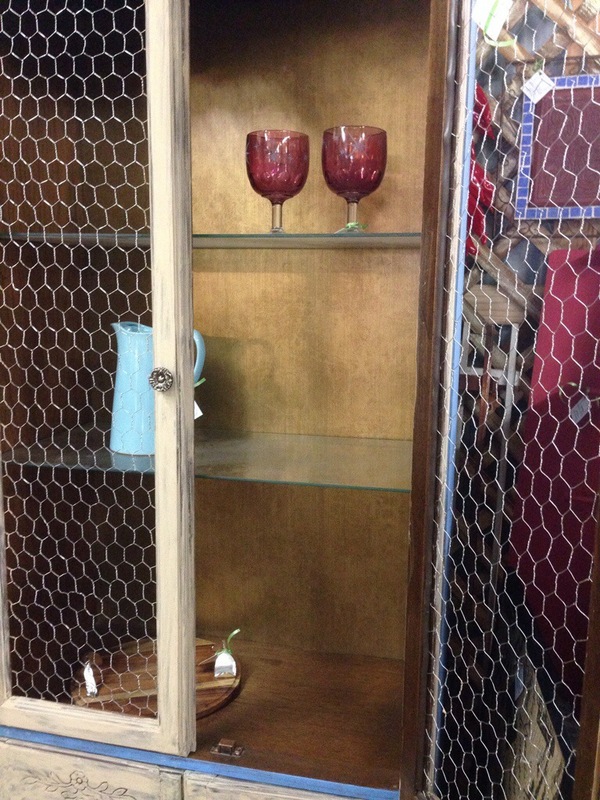 I found a cabinet with great bones at a thrift shop and my mind went wild with different ideas of transformation. I bought it for $29.99, took it home and because I had so many different colors and finishes in mind I had to let it wait ( for two months ) until I filtered through my thoughts. 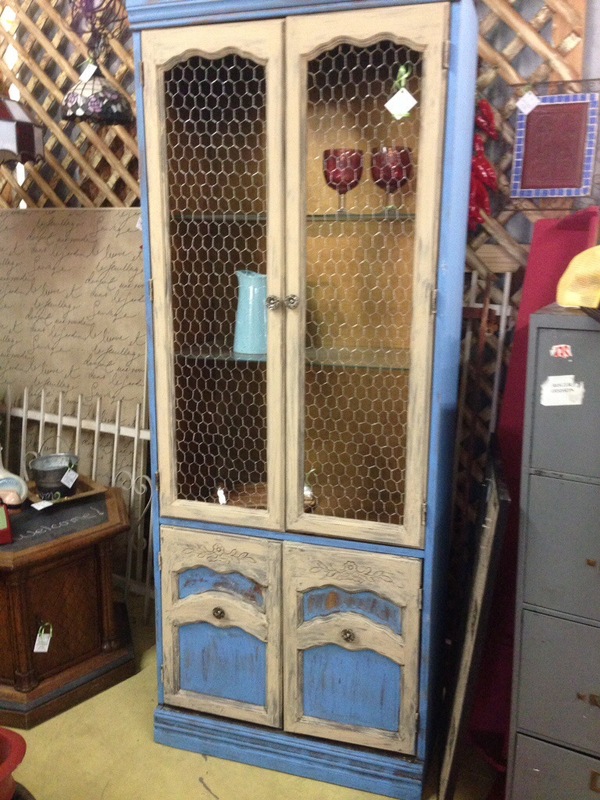 Then I saw a cute small cabinet at a local furniture store and then I knew. 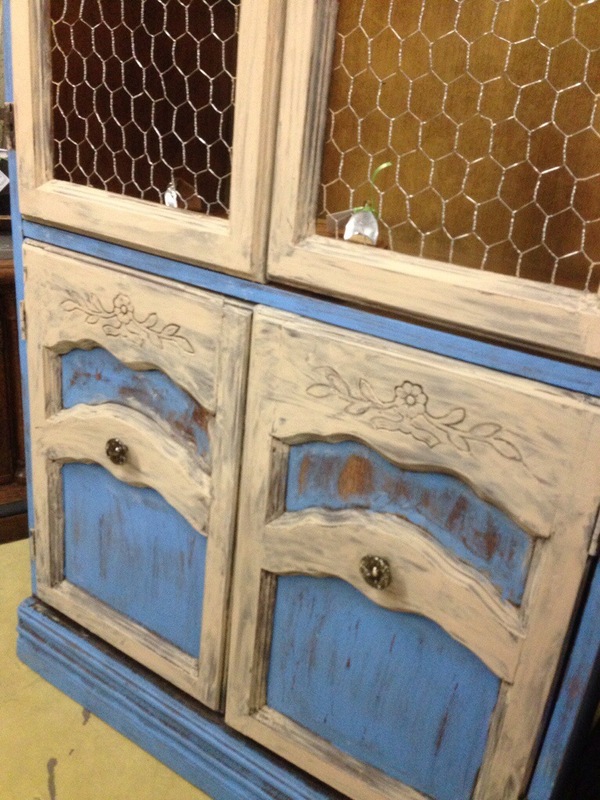 Blue with country white doors and chicken wire. 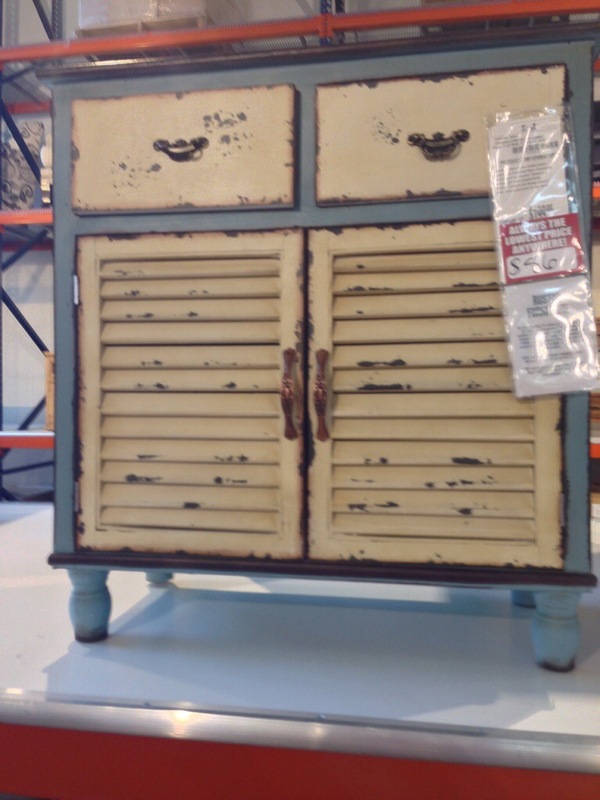 I wish I had a before picture of the holes where the knobs were missing but I was so excited I forgot to do it. Here’s a look at my inspiration and the final product.